Digital Signage is a type of electronic billboard or display that is used to advertise and build awareness of new products or services for your organization. The content can be dynamic web content or PowerPoint presentations and can also be just static images or text that are shown on strategically placed LCD or LED monitors/TV's in your facility. This type of signage is usually found in hotels, retail and fast food outlets, airports and train stations, among other places. The content that is seen on the monitors is uploaded and controlled by computer using specialized software. As an advertising medium, Digital Signage works so well because it strikes the perfect balance between subtly and “in your face”. 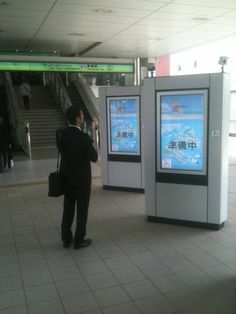 Digital monitors can be connected to the web which allows news feeds, Twitter feeds, currency updates, weather updates and more to be incorporated into the display. Blog post and video content from video sites such as YouTube and eHow may be included in the display as well. For example, in a doctor’s office a monitor could display general health facts and tips and feature real-time news RSS feed and weather updates. The advantage is that it grabs attention in a more subtle way – Whereas traditional advertising methods such as television, print and radio capture attention in a more direct manner. The high definition displays combined with vivid colors and the ability to include elements such as news feeds and online video allows advertisers to break through the noise (associated with traditional advertising) and connect with customers. In addition to cost savings one of the great advantages behind digital signage design is the ability to update content at the click of a finger (or rather a mouse button). For example, a restaurant could utilise a series of digital menu boards that display different menu’s as the day progresses – i.e. breakfast, lunch and dinner. When you take into account that most decisions are made in store, a digital display that uses a combination of high quality images and video can have a powerful influence on buying decisions. If you run an architectural firm for example, you could set up slide show to allow prospective clients to view some of your completed projects. People tend to trust peer recommendation over advertising and displaying projects you’ve worked on for others will promote your brand and reinforce trust in your services.